With the recent addition of my son Henry to the world, my fishing time has been drastically cut back. I have been fortunate enough to get out on the water a few times and this time in particular with my brother in law. We met up for an afternoon of crappie fishing on Lake Champlain. With partly cloudy skies and a chance of some rain, he picked my up at the launch and we headed for one of his spots. The introduction of side and down imagining to the fishing world has had a major impact on how my brother in law catches and searches for fish. In just a few months time, he has been able to locate hundreds of sunken trees, brush piles and ship wrecks that are currently holding fish. He asked me what I wanted to catch, Whites or blacks, “it’s doesn’t matter to me” I responded. We stopped first at a spot in a little bit deeper water, around 16 feet, that had producing good numbers of whites. It didn’t take long once we marked our tree to get into the fish. 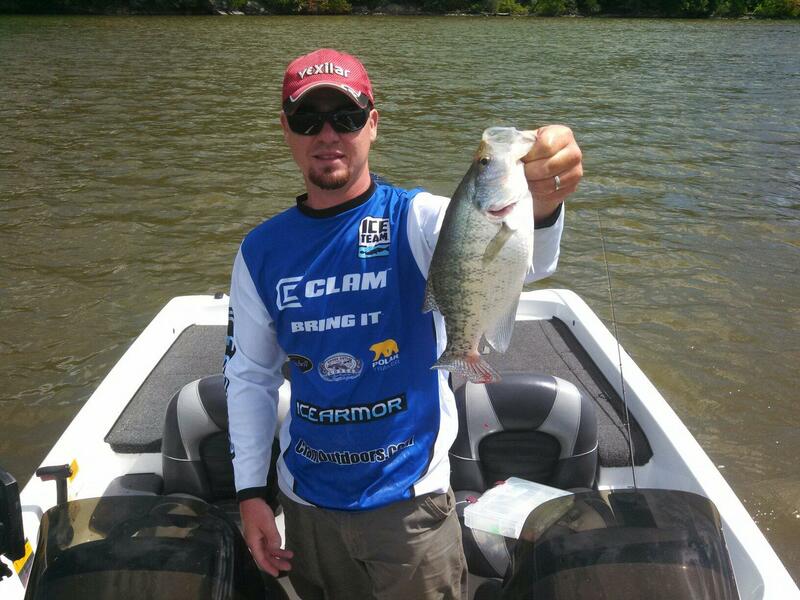 I was using the new paddle tail from Lake Fork Trophy Lures. We used two different presentations depending our our angle to the structure. As we were right over the top we would vertical jig the water column, starting high and working our way down. As we drifted a little off of the structure we would use a pendulum approach, casting past the structure and just letting the bait swing along side ever so slightly popping the jig back to the boat. The approach really let the new bait shine. 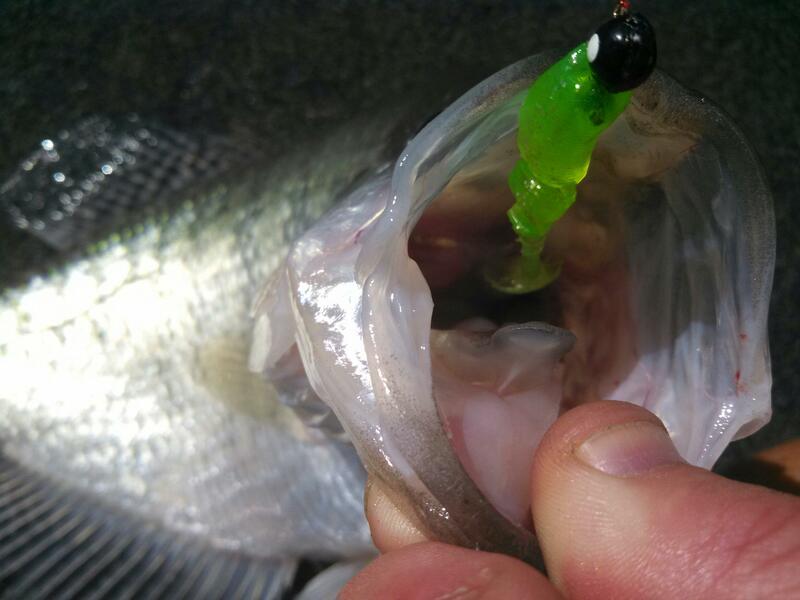 The action of the new paddle tail combined with the action of the swim slots of the Live Baby Shad body made it irresistible to fish suspending in the structure. We would fish a spot for a half hour or so and then move on. My brother in law started his fishing career doing a lot of bass fishing. I learned that using this type of approach for crappie (run and gun) was very effective for staying on a consistent bite. You weren’t there long enough to condition the fish to your bait, constantly presenting your bait to new fish. The other thing I noticed is that this approach also gave you a much better average fish, we put fish in the boat the whole day that averaged 11-12 inches. The day ended with us putting well over a hundred crappie, both blacks and whites in the boat and all fish swam to see another day.